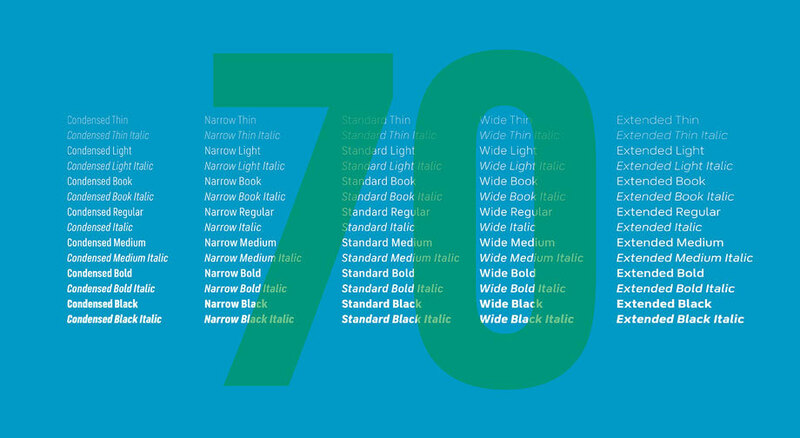 Today Fontsmith launches FS Industrie, a new adaptive type system designed around five different widths and seven different weights, creating a total of 70 different variants (including italics). 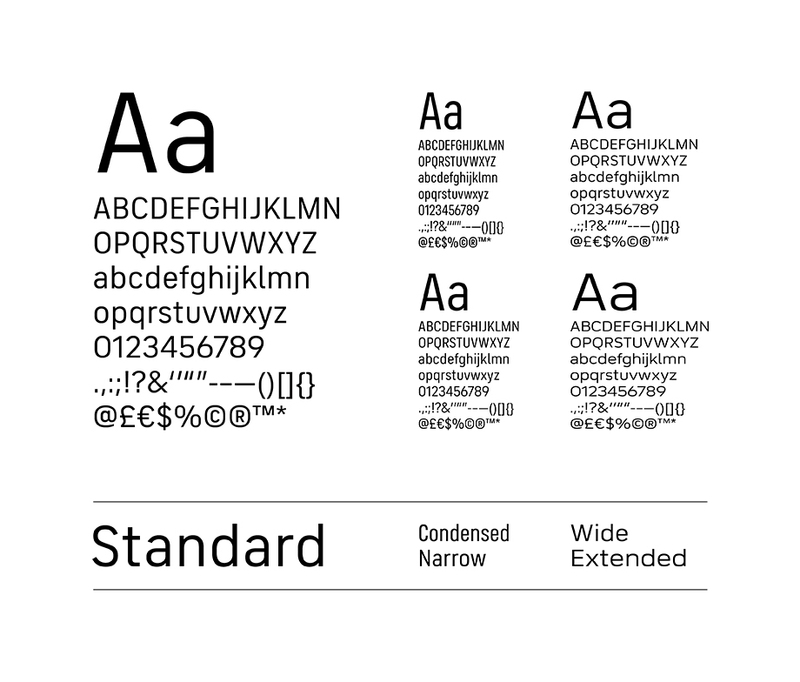 Much has been said about truly variable fonts since the idea was first introduced in September 2016. Yet fast-forward 18 months and the technology is still in development. As well as new fonts, designers will need engines, browser support and design tools, all working together to deliver on the promise offered by variable type. Until that happens, FS Industrie shows us the future. Inspired by classic German fonts from the 1930s, FS Industrie has a precise and direct feel but, in typical Fontsmith style, without ever sacrificing its humanity. Designed by Phil Garnham and Fernando Mello, it has a classic sense of functional utility delivered with a progressive view of where type is heading. 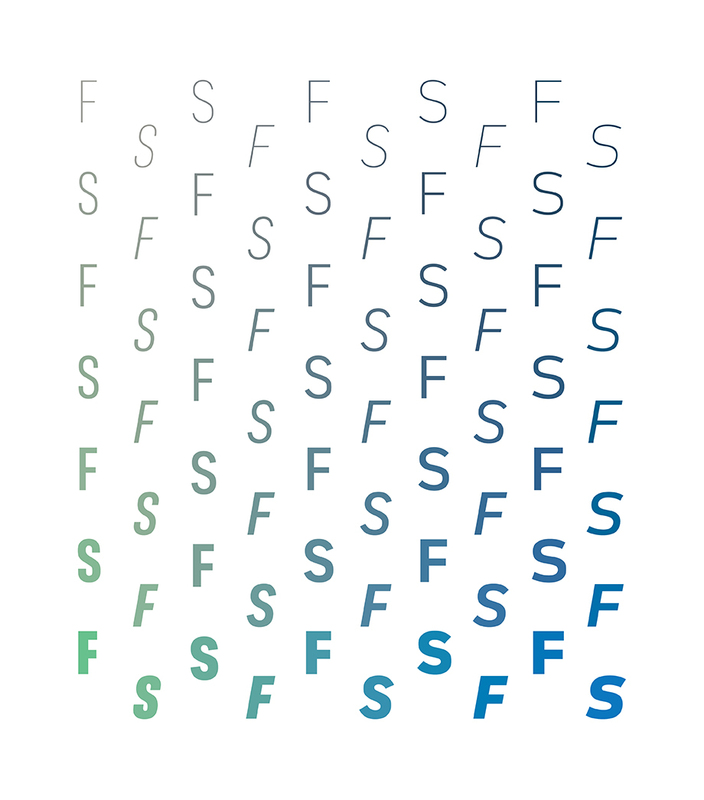 Crucially in the design of FS Industrie, each width and weight is drawn by hand. 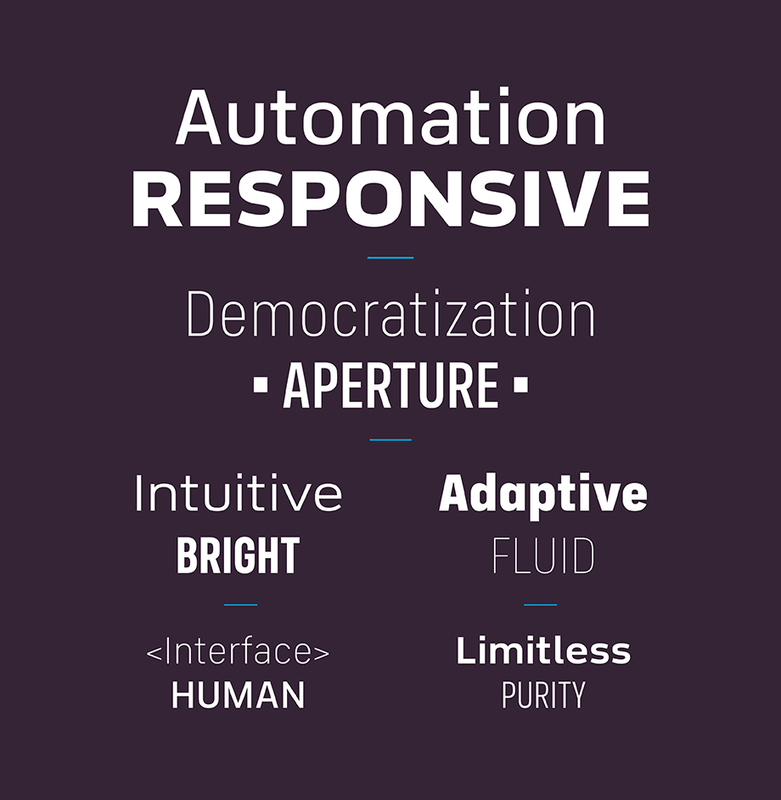 Variable type requires both a systematic approach and a focus on craft. Terminals that are closed in the condensed glyphs open out in the wider widths. The design adapts as it moves across the system, ensuring each variant can play to its unique strengths while also pairing perfectly with its siblings. 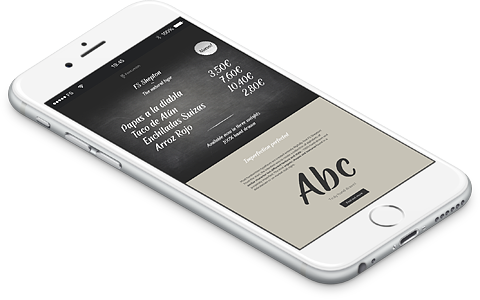 The project began with the Fontsmith design team asking some fundamental questions about the role fonts might play in these new platforms. They also considered how designers might use typography in more interesting ways across the full range of brand and marketing communications, not just in digital and screen-based media. Phil added “It is the spirit of variable design and flexibility that drove us to create FS Industrie. A response to the changing nature of type, for brands that are responding to the changing nature of work”. 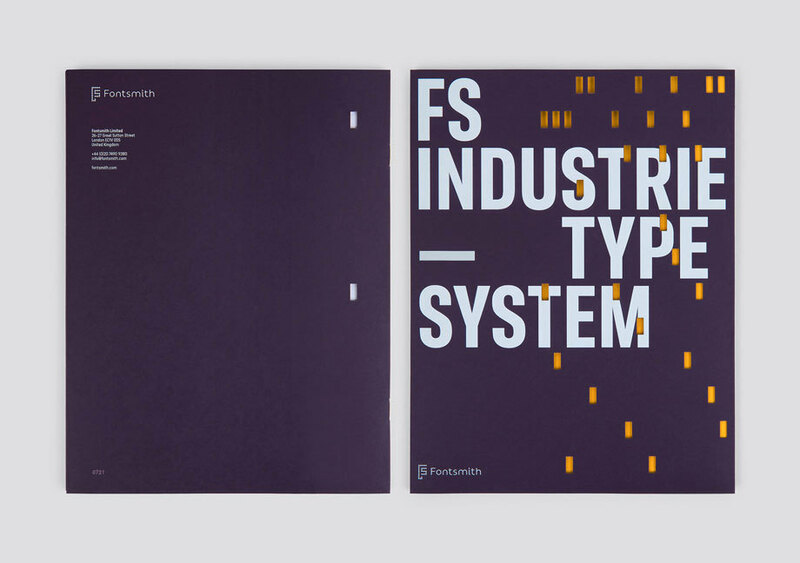 FS Industrie is an ambitious typeface, and Fontsmith wanted to highlight its release through a similarly ambitious launch campaign, a task they handed to UK/Canada-based design studio and long term collaborator Believe in®. The variable nature of FS Industrie lies at the heart of the campaign idea. 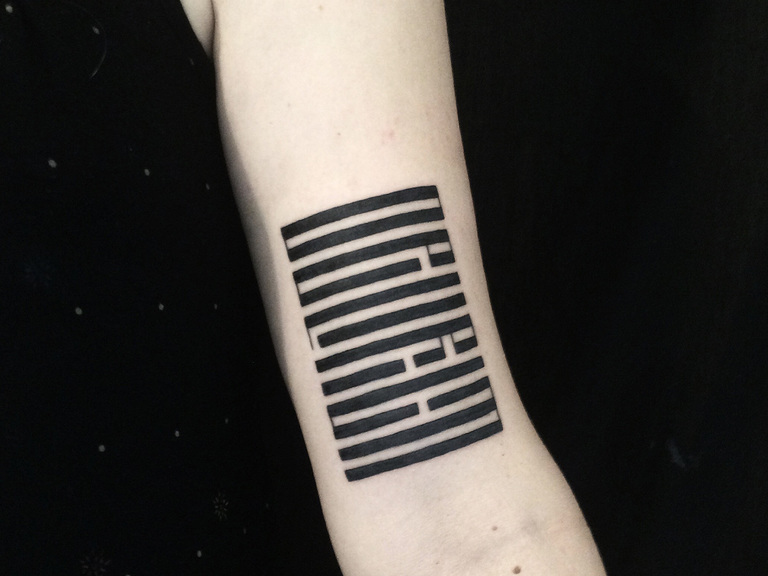 This led to 1000 unique type specimens being created, each one personal to its recipient. They feature content that was generated through an online survey completed by over 400 creative professionals. 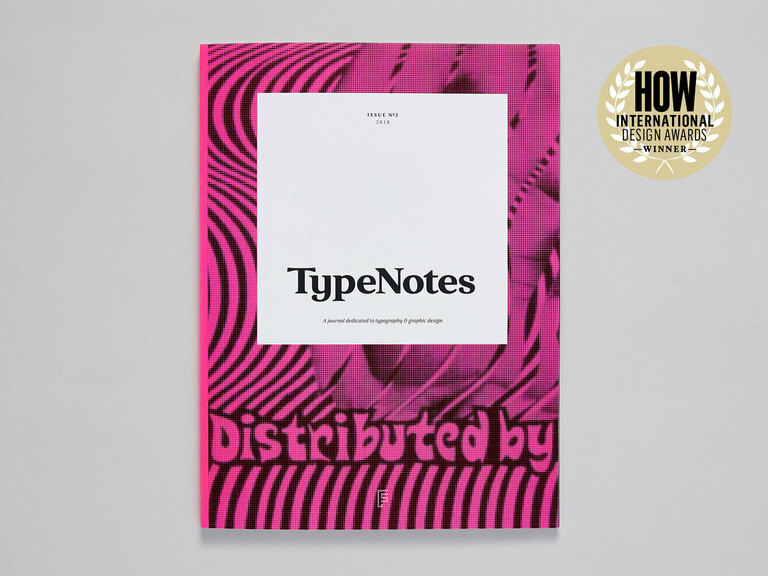 Each cover has the recipient’s name laser cut into it using a ‘punched card’ alphabet, with the apertures revealing a limited edition letterpress print designed by one of 10 studios from around the world. 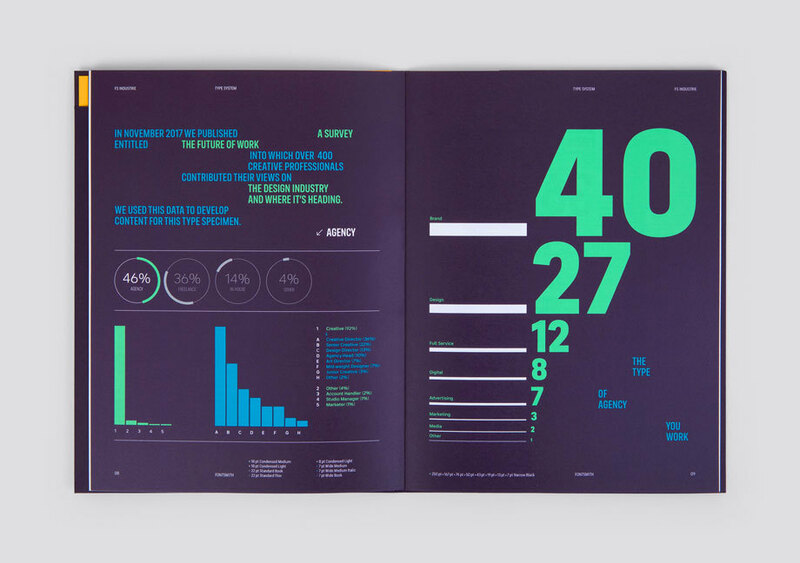 The online survey was originally promoted through Fontsmith’s email and social media channels. The results were then used to prepare personalised type specimens that would show off the flexibility and versatility of the typeface. Some results are visualised as statistics within the specimen, highlighting FS Industrie’s strength when handling technical data. Also included are more qualitative responses, such as opinions on where design is heading, or what the greatest challenges facing the industry are. Inserted into the front cover pocket of each type specimen is a highly collectable, limited edition letterpress print. 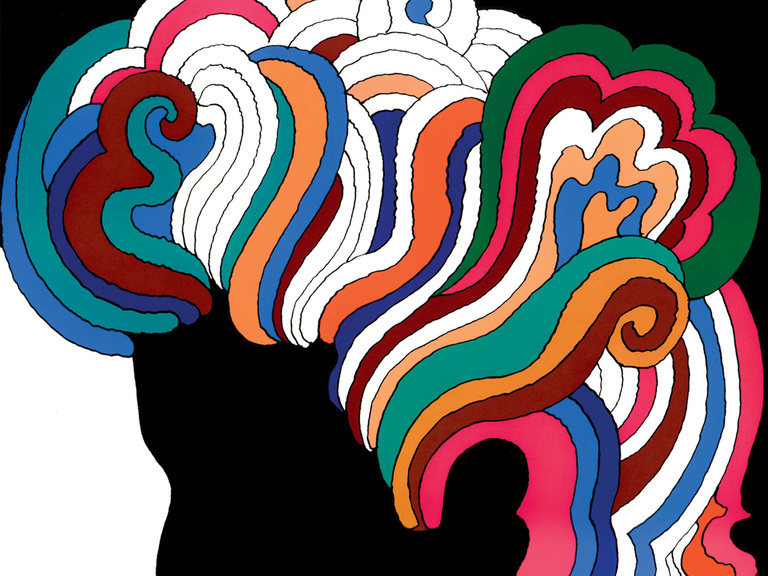 10 different designs were commissioned from studios and designers from around the world. Each studio was given the full set of fonts and a different coloured stock, and asked to create a single piece of artwork. These were then letterpress printed, with 170 hand-numbered editions of each design being produced. The list of studios and designers is drawn from 5 continents and is a mix of established studios and emerging talent. 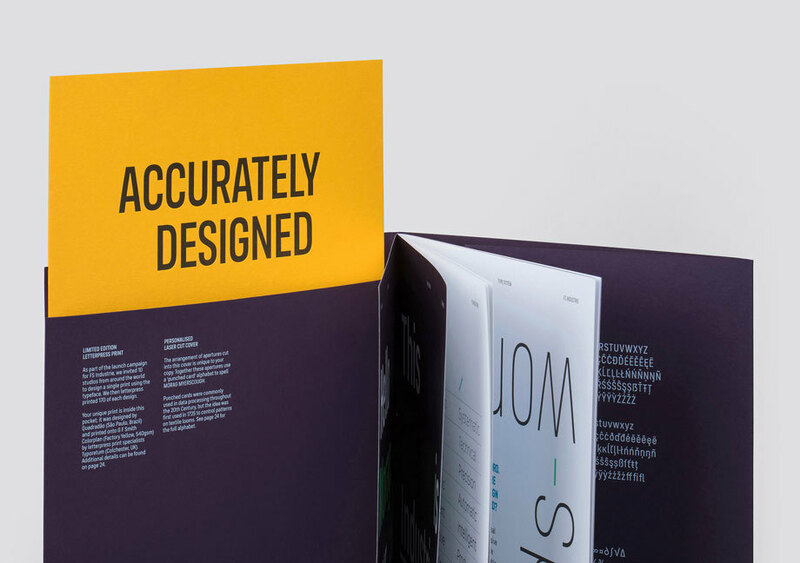 An additional 200 generic versions of the specimen were created, half of which will be made available for sale in the Fontsmith Shop next week. FS Industrie is available to buy now.